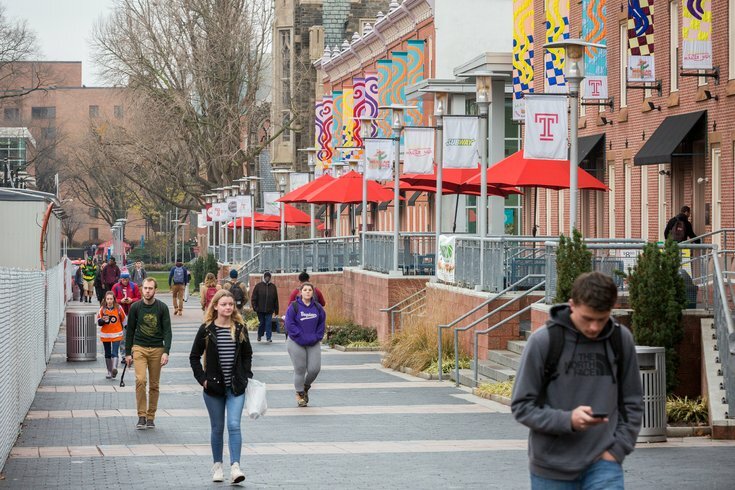 A female student was sexually assaulted in a private residence off Temple University's campus around 2 a.m. Sunday, Temple police told students in an email. Both Temple and Philadelphia police are investigating the assault, which took place on 15th Street between Oxford and Jefferson streets, police said. The offender was described as a black man in his mid-20s between 5 feet six inches and 6 feet tall with a dark, full beard and short hair. He was believed to be wearing a gray sweatshirt and blue jeans. Anyone with information can call Temple police at 215-204-1234 or Philadelphia police at 215-686-8477. Anonymous tips can be sent to Temple's Title IX coordinator, Andrea Seiss, through the university's online database.